Reve are mainly engaged in all kinds of stainless steel, titanium steel jewelry. Including earrings, necklaces, pendants, bracelets and bangles and so on. Our products are fashion, high-quality and affordable. We are committed to provide you with the latest and most popular jewelry. Choose us, choose fashion! We provide comprehensive services, just hope you have a pleasant shopping! Material: 316L Stainless Steel. Health certification does not contain harmful elements. Hypoallergenic, Comfort Fit; Pendant Length: 2.12''(54mm), Width: 1.2''(30mm). 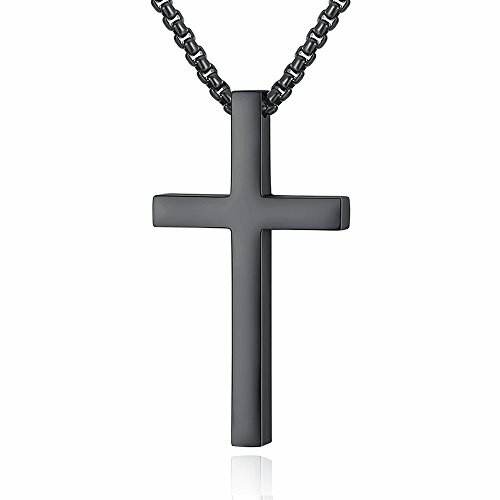 Chain Length: 20 inches, Width: 3mm; Plain cross pendant. 5mm thickness. Fully polished shiny cross pendant. High quality. 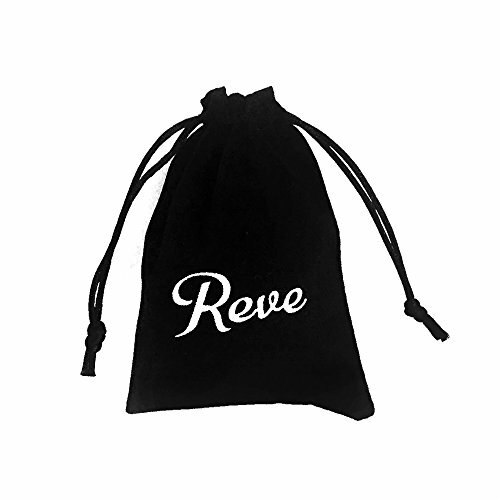 Come with high quality durable stainless steel Rolo Cable Chain; We use black velvet bag. Emblazoned with "Reve". Flannel bags can be reused, you can collect other jewelry or other small items. Very practical; Perfect gift for Fathers' Day, Graduation, Bachelor Party, Wedding, Anniversary.